This beautiful Tolly 34 gets heads to turn. She's in excellent condition with key upgrades like the virtually new Mercruiser fuel-injected Horizon 350 MPI V8's (less than 150 hours), trim tabs, new instruments, new propane stove/oven and Norcold 12V/110V refrigerator. 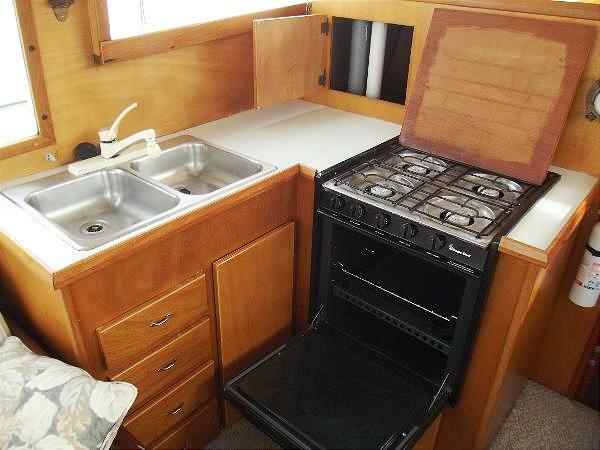 She's been well cared for, with an interior that is comfortable and pleasing. Her upholstery on the flybridge is like-new, protected by her Tolly-teal sunbrella cover. A hard-shell Livingston dinghy mounted on the swim step with Davis davits makes life on the hook a breeze. 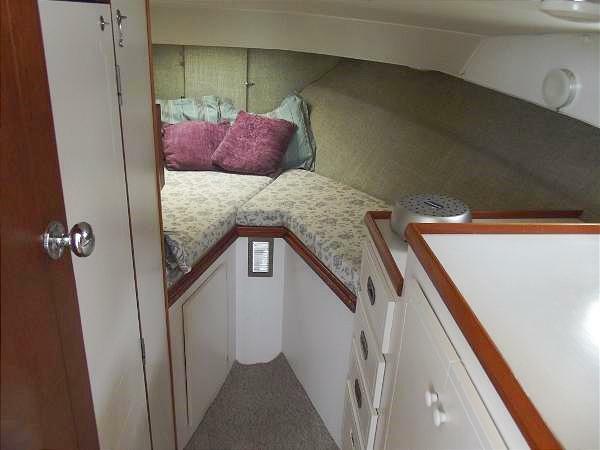 The large cockpit can accommodate an eager crew of Northwest fishermen, with a foredeck and flybridge well-suited for sunbathing. The head and sleeping accommodations are clean and updated, with a full shower stall. 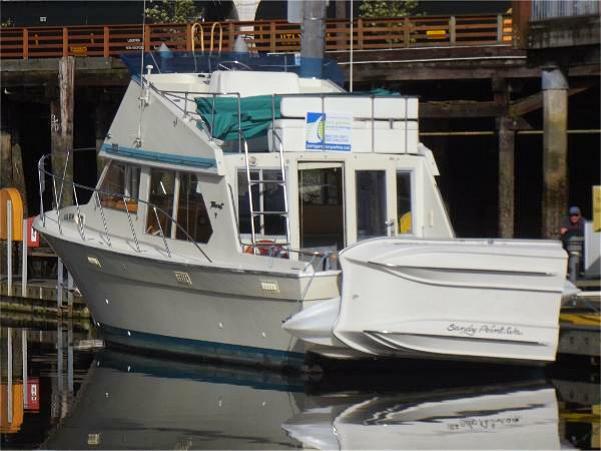 Her Everett moorage is available for a new owner, if desired.